Recent leaks have led fans to believe that at least one of this year’s iPhones will feature three rear-facing cameras. Some rumors have suggested that only the largest model — the successor to the iPhone XS Max — will get the upgraded camera system. But a new report indicates two models will offer it, and they’ll be a little bigger as a result. Apple won’t just stick new internals and a third camera sensor into the chassis it is already using for the iPhone XS and XS Max, the report claims. Instead, it will need to redesign its new devices, albeit only slightly, to make more room. Japanese Macotakara, citing “trustworthy” sources in China, claims this year’s flagship iPhones will be available with 6.1- and 6.5-inch displays. The XS Max already offers a 6.5-inch display, so its form factor won’t change too dramatically. Although, the sources say its body will be approximately 0.4mm thicker to accommodate the new camera lenses. The iPhone XS currently offers a 5.8-inch screen. Its new display matches that of the iPhone XR in size. But because it will be OLED and not LCD, the handset itself will be slightly smaller as a result of slimmer bezels. This device will be around 0.15mm thicker than the iPhone XS. The good news is that the slight increase in thickness of the 2019 iPhone lineup means that their camera humps won’t protrude quite so much. 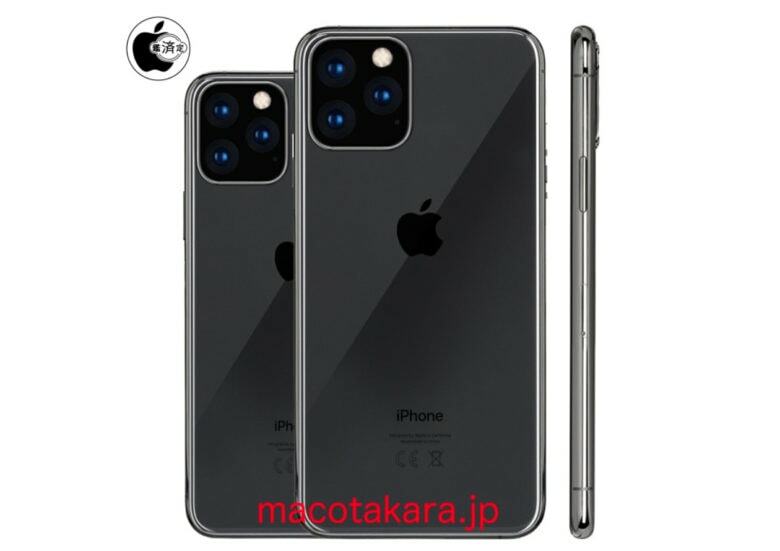 Not only are the camera sensors themselves expected to be larger, but Macotakara claims they will be accompanied by larger lenses — the largest Apple has ever put into an iPhone. This should lead to even greater photos and videos, and significantly improved low-light performance. It suggests photography will be a big focus for this year’s upgrade as Apple looks to catch up with rival handset makers. The new camera system will be accompanied by bidirectional wireless charging, the report adds. This will allow you to place Apple Watch, AirPods, and other devices on the back of the iPhone to charge them. Steve McFly of @OnLeaks also tweeted some interesting information about the 2019 iPhone lineup this weekend. He doesn’t completely corroborate the above report, but he does say that the new triple camera system will feature in all three iPhone models. Both Macotakara and McFly have been accurate in the past — though not always. It’s probably best to take all of these claims with a pinch of salt for now, then. We will almost certainly find out more before the 2019 iPhone lineup is made official this fall.